The Herschthal Practice (Boca Raton) - Book Appointment Online! 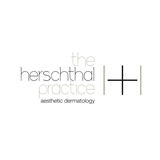 At The Herschthal Practice Aesthetic Dermatology our priority is to deliver quality dermatologic and cosmetic care to informed patients in a comfortable, professional and convenient setting. Quality Care: When you have needs for dermatologic and cosmetic care, you need to turn to a doctor who listens and responds...an experienced doctor who knows the field and can effectively diagnose and treat your needs...a friendly physician who counsels you on the best ways to maintain and improve your health. David Herschthal,M.D. meets all these criteria. Plus, you benefit from a dedicated team of trained professionals who give you the individualized attention you deserve. Informed Patients: David Herschthal,M.D. Dermatology & Cosmetic Laser Centre believes that informed patients are better prepared to make decisions regarding their health and well being. Very high tech modern offices. Dr. Herschthal is one of the best practicing physicians in his field.